I’ve never really been a fan of the bucket bag, I never even had one before until recently. Because there is no shame in my game, and I’m not a brand snob, I shop any and everywhere! From Ross to Neiman Marcus, and everywhere in between! But I’m also cheap, yeah I said it, so Ross is probably my fav place to shop. A few weeks ago, on one of my regular trips, I bought my first bucket bag. It had a really long strap, so I’m assuming it was intended to be a cross body bag, but it’s also kinda large, so I wasn’t sure. The first time I carried it, I did wear it as a cross body bag, but it was too heavy and uncomfortable. So, now I’m carrying it on the shoulder. Because of the super long strap, and no way of adjusting it, I got innovative and tied an old fashioned knot on the strap, and solved that issue! 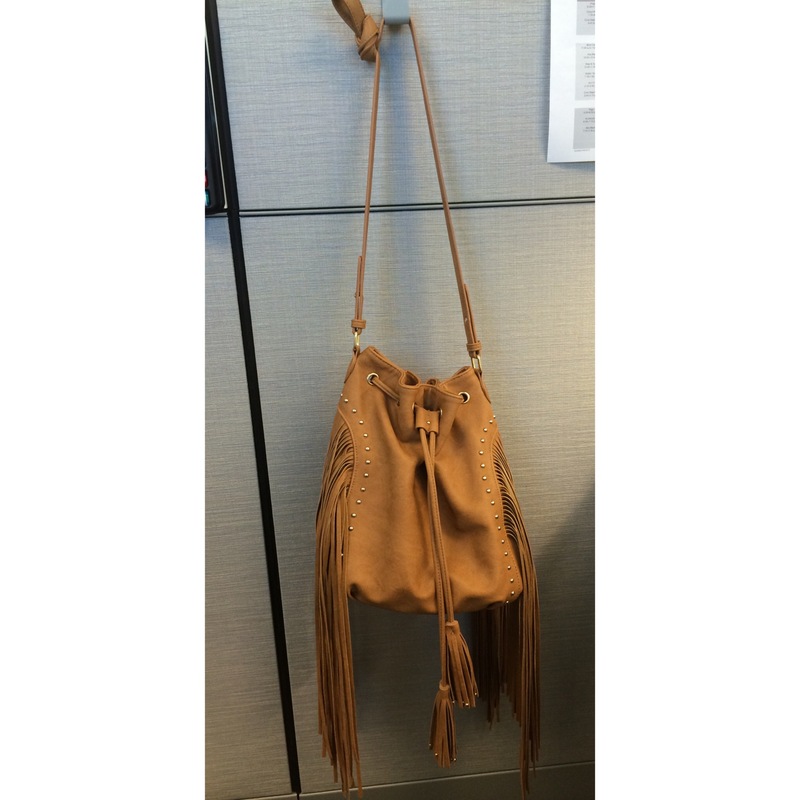 It’s a super cute bag, and it has fringe!!! Yes! I LOVE fringe on anything! What do you think about bucket bags? I think I want another one! I can fit everything in mine! Before you order those cute clothes from China, read this!